The close-quarters combat techniques used by the world’s most elite fighting units are not publicized. However, since fighting systems today typically draw on many sources, it is safe to assume that fighting styles used by proficient military units include elements of techniques that are included among the best available. Members of the British Special Air Service, or SAS, and the Special Boat Service, or SBS, are forbidden by the British Ministry of Defense from writing about these techniques and other aspects of service in these elite organizations. There is no advantage for the SAS, SBS, U.S. Delta Force or other special forces to describe their combat fighting systems for potential opponents to study. Since these and similar units around the world are the most selective and highly trained, it is likely that they use the most effective, up-to-date and well-tested hand-to-hand combat techniques they can develop. Developed in 2001, the Marine Corp Martial Arts Programme is a close-quarters combat system that includes techniques suitable for combat and for situations that require more restraint, such as subduing unarmed but aggressive civilians. It includes wrestling and jujitsu techniques as well as striking and weapons training. The Israeli Self Defense Forces and police train in a system known as krav maga, which is Hebrew for “contact combat.” It was developed for the military by Imi Sde-Or in the 1930s. 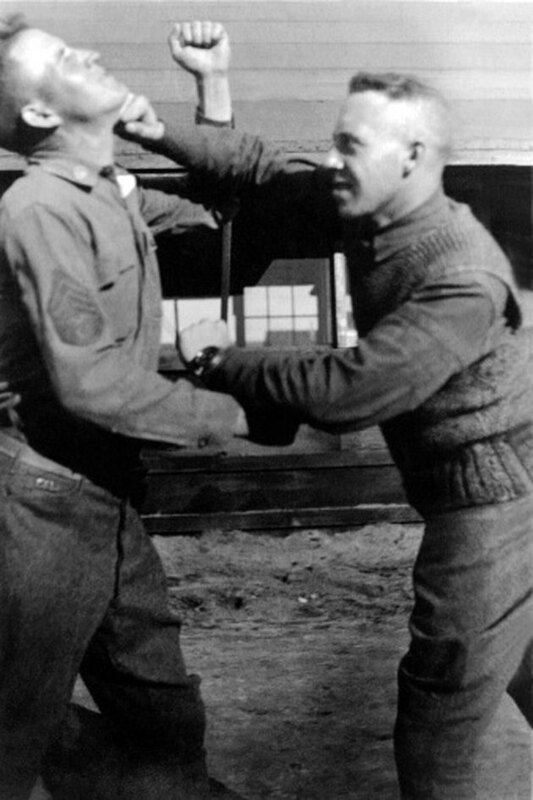 This hand-to-hand fighting system was later adapted for civilian use and has become a popular civilian self-defense system taught in the U.S., Europe and Australia. According to Chris Crudelli, author of “The Way of the Warrior, Martial Arts and Fighting Systems from Around the World," Russian special forces practice various fighting systems, all of Russian origin. These include Russian All-Round Fighting, R.O.S.S., Systema and Combat Sambo. These systems, like those of other military fighting systems, include armed and unarmed techniques. “Krav Maga, How to Defend Yourself Against Armed Attack”; Imi Sde-Or and Eyal Yanilov; 2001. "The Way of the Warrior, Martial Arts and Fighting Systems from Around the World"; Chris Crudelli; 2008.